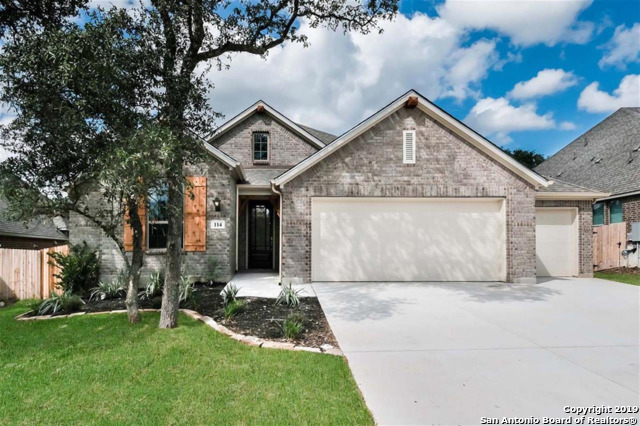 All THE RANCHES AT CREEKSIDE homes currently listed for sale in Boerne as of 04/26/2019 are shown below. You can change the search criteria at any time by pressing the 'Change Search' button below. "Two-story entry. Library with French doors and formal dining room, both with ceramic tile floor. Open family room with ceramic tile floor features a wall of windows, cast stone fireplace and 20-foot ceiling. Island kitchen features walk-in pantry and Butler's pantry. Spacious master suite with curved wall of windows. Garden tub, separate glass-enclosed shower, double sinks and two walk-in closets in master bath. Master suite and an additional bedroom located downstairs. Upstairs guest suite wit"
"Unique floorplan that you won't find anywhere else! Gorgeous Single Story with Mother-In-Law Suite, includes master bedroom, bath and living area. 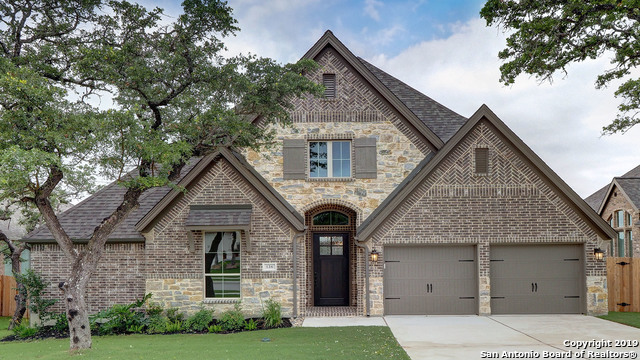 Neutral colors, coffered ceilings, woodgrain tile and large windows throughout. Luxurious kitchen features extended breakfast bar, large island, wine frig, dble oven and 5-burner stove. Glass french doors to office/study. Breakfast nook and separate dining area. Master bedroom windows line curved wall. Large garden tub, separate large shower and doubl"
"Mahogany front door. One-story design with 12-foot coffered ceilings in entry and extended entry. Spacious formal dining room. Library with French door entry. Open family room with cast stone fireplace flows into the kitchen and morning area. Kitchen features island with built-in seating space. Master suite with wall of windows in the bedroom. Garden tub, separate glass-enclosed shower, dual sinks and a large walk-in closet in the master bath. Guest suite. Game room with double doors. Mud room." "Extended entry with 14-foot coffered ceiling. Formal dining room. Library with French doors set at the entry. Family room with 12-foot ceiling. Morning area opens to game room with French doors. Kitchen features island and walk-in pantry. Secluded master suite with curved wall of windows. Garden tub, separate glass-enclosed shower, dual vanities and two walk-in closets in master bath. Mud room. Three-car garage." "Mahogany front door. Extended entry with 12-foot ceiling. Family room with ceramic tile floor features a wall of windows. Kitchen features an island with built-in seating space and walk-in pantry. Game room. Private master suite. Double door entry to master bath with dual vanities, garden tub, separate glass-enclosed shower and two walk-in closets. Mud room. Extended covered backyard patio. Three-car garage. Stage of construction is Cornice on the day of entry." "Extended entry with 13-foot coffered ceiling leads into family room, morning area and island kitchen. Library and dining room frame entry with 12-foot coffered ceiling. Game room with French doors just off morning area. Spacious master suite. The master bath includes garden tub, separate glass-enclosed shower, dual sinks and two walk-in closets. Guest suite with full bath. Three-car garage." 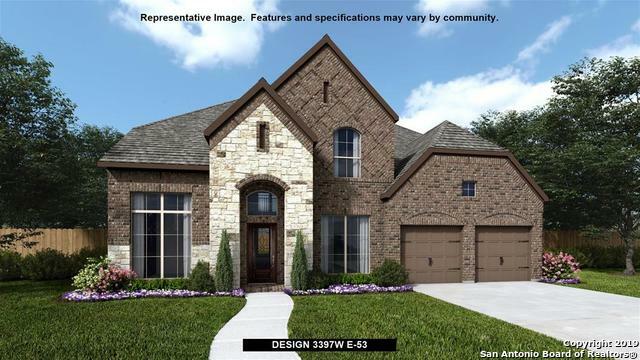 "MLS# - Built by Highland Homes - May completion! 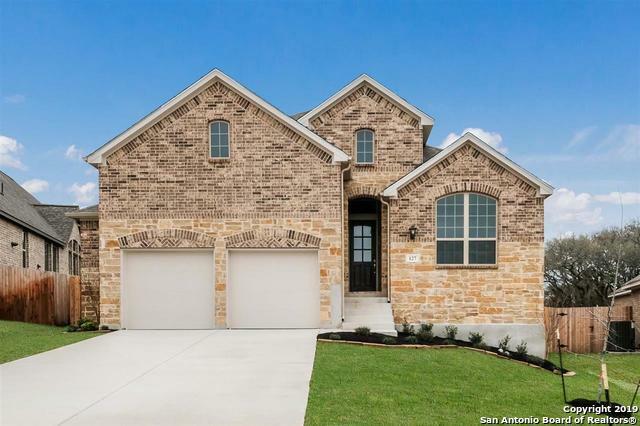 ~ Beautiful 4 Bed, 3 Bath Single Story with 8ft entry door. Soaring 11' high ceilings and lots of 8' tall windows for tons of natural light. Open Plan Kitchen with Built in Stainless Appliances overlooks Dining Area and Family Room with Corner Fireplace. Extended Master Suite with walk in closet, soaking tub and separate shower. 4 Sides Brick with Stone Accents. Located in the award winning Boerne ISD." 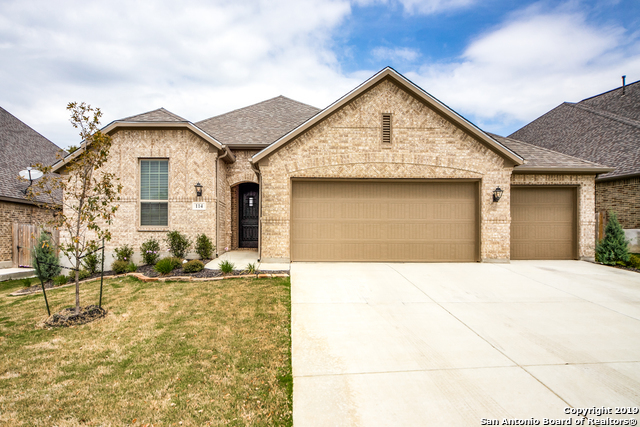 "MLS# 1341353 - Built by Highland Homes - CONST. COMPLETED Feb 28! ~ Entertainer's Dream Home! Dramatic entry with 12' High ceiling and barrel arches leads to an open plan Living Space. A gourmet island kitchen with custom cabinets overlooks the Family-Dining rooms. A bright and airy space with lots of 8' tall windows and corner fireplace. Ext Master with spa like bath is separated from other bedrooms for privacy. Over-sized lot with 2 12 car garage, great for storage and a 50' long driveway." "Well loved, gently lived in, single story home in the desirable neighborhood of The Ranches of Creekside. 11' ceilings and an open floorplan make this home feel incredibly spacious and perfect for entertaining or gathering family. Gas range, beautiful fireplace, solid surface countertops in the kitchen, separate study, and tons of natural light are just a few of the highlights of this home. Absolutely MOVE-IN READY without the wait of building! 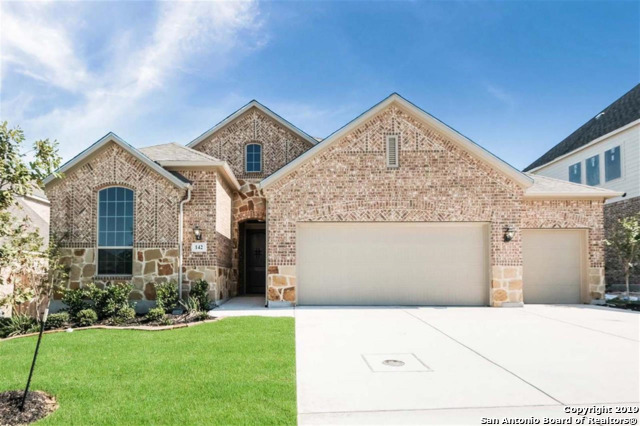 Easy access to exemplary rated Boerne schools. Welc"
"MLS# 1316261 - Built by Highland Homes - CONST. COMPLETED Oct 15! ~ Location! Location! Location! 2 Min from Downtown Boerne. 1 Min from Champion High. 10 Min from I10. 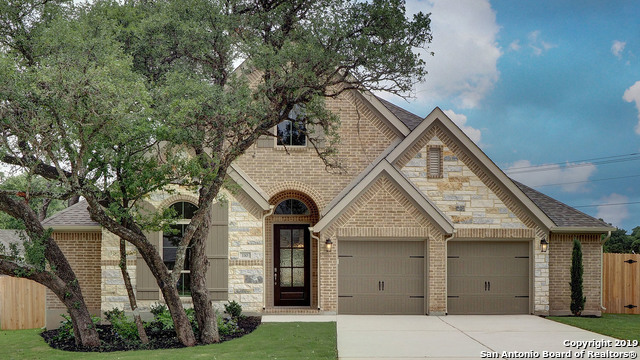 Located on homesite backing to green space with mature live oak trees. This open floor plan is ideal for entertaining with large kitchen island adjacent to breakfast and dining rm. Luxurious master bath has over-sized master shower, his and her vanities with seating area and large master closet. Tile flooring throughout main area"